Plateau International together with our partners has selected some great value offers for your clients. Explore the Ganges River on this 7 nights cruise itinerary and take advantage of this incredible offer including 2 nights free stay at the Oberoi Hotel in Kolkata. Arrival and transfer to the hotel Oberoi. Breakfast at the hotel. Full day at leisure to explore Kolkata. Breakfast at the hotel. Embark the ship at the Botanical Garden Jetty in Kolkata and enjoy lunch on board. In the afternoon enjoy a city tour of Kolkata. Dinner onboard. Breakfast onboard. Morning city tour. Return to the ship for lunch and begin the journey upstream. Later in the day, we take an excursion boat to the shore of Bandel. Dinner onboard. Breakfast onboard. This morning enjoy a rickshaw ride through the city center of Kalna en route to the enchanting Rajbari complex. Sailing to Matiari in the afternoon. Dinner onboard. Breakfast onboard. Enjoy an early morning walk to the shore-side village of Matiari. Continue the journey upstream, sailing past the battlefield of Plassey. Early evening visit to the charming village of Khushbagh. Dinner onboard. Post breakfast cruise to the sleepy village of Baranagar where you’ll take a walk to experience rural India at its most idyllic. Return to the ship and sail downstream, passing by charming countryside villages where locals greet us from the banks. Arrive at Murshidabad, a hidden architectural gem with dramatic whitewashed colonial era structures. Dinner onboard. Breakfast onboard and enjoy a restful morning, before stopping in the village of Mayapur, which is the birthplace of Sri Chaitanya Mahaprabhu (1486), considered an incarnation of Lord Krishna. Dinner onboard. Breakfast onboard and sail to Chandernagore. Afternoon exploring the French colonial buildings along the promenade, including the former French governor's residence. Return to the ship and continue our journey downstream to Kolkata. Dinner onboard. Following breakfast, disembark the ship and transfer for your onward journey. Transfer from the airport to the Hotel Oberoi in Kolkata, 2 night stay at the Hotel Oberoi in Kolkata including breakfast, 7 night accommodation onboard, full board during the cruise, Indian brand mineral water throughout the cruise, sightseeing as per itinerary, onboard English speaking guide, all entrance fees, transfer from the ship to the airport on disembarkation and local assistance. Pricing from USD 3,905.00 per person in double room sharing. Port charges USD 179.00 per person. This offer applies to selected departure dates. Arrival and transfer with a scenic seaplane flight to Cocoon Maldives. Accommodation in the selected room. Full day at leisure to relax at the island resort in full board or all-inclusive basis. Breakfast at the hotel. Seaplane flight back to Male to connect with the international flight. After transfer from the airport, guests may opt to visit the Arya Kanya Gurukul girls’ orphanage. Overnight: Superior room at 4* The Muse Sarovar Portico. After breakfast, take a tour of Old Delhi, including a rickshaw ride, markets and the Red Fort, followed by a 230 km drive to Agra. Overnight: Standard room at 4* Clarks Shiraz Hotel. Start the day with a sunrise tour of the Taj Mahal, then return to the hotel for breakfast followed by a tour of Agra, including the Red Fortress. Then there is a 240 km drive to Jaipur. Overnight: Standard room at 4* Ramada. Note: Taj Mahal closed on Fridays for maintenance. After breakfast, begin a tour of Jaipur with a Rajasthani welcome ceremony. Take an elephant or jeep to the Amber Fortress. 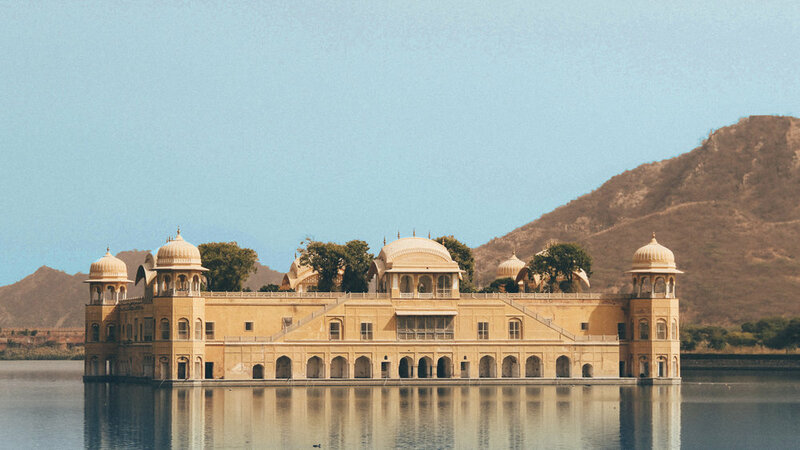 Inspect the Anokhi Museum, the Water Palace and the residence of the Royal Family. Visit the markets, take a tuk tuk, and see the Palace of Winds. Overnight: Standard room at 4* Ramada. After breakfast, there is a 270 km drive you to New Delhi. In the afternoon, take a tour of New Delhi, highlighting the famous works of the British architect, Sir Edwin Lutyens. See the Sikh shrine with its community kitchen that feeds over 10,000 devotees daily, followed by the City Centre Market. Overnight: Superior room at 4* The Muse Sarovar Portico. After breakfast, there is a transfer to Delhi International Airport. Pricing from USD 670.00 per person in double room sharing. Guests will be met at the airport for their transfer to the hotel. After breakfast, explore Vientiane, including its oldest temple, Wat Si Saket and the former royal temple of Haw Phra Kaew. In the afternoon, take a short flight to Luang Prabang, followed by a visit to the impressive monuments of the city, including Mount Phou Si for a beautiful view of the city and the Mekong River at sunset. Enjoy a short tour of Luang Prabang. Then embark on a cruise on the Mekong River to the mysterious Pak Ou Caves. Rise early to participate in the daily morning rituals of saffron-clad monks collecting alms from the faithful. Return to the hotel for breakfast, then visit the National Museum (closed on Tuesdays) at the former Royal Palace. Then take a tour to the beautiful Kuang Si Falls, including a swim or a walk through the forest. After breakfast, there is a transfer to Luang Prabang International Airport. Pricing from USD 830.00 per person in double room sharing.